Back from a busy trip to NYC, Carmen & Jim need to recharge. What better. 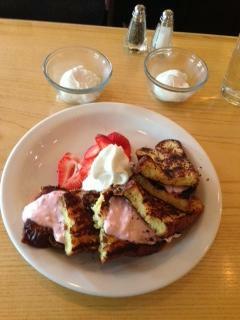 Breakfast than an order of Strawberry Stuffed French Toast with Poached Eggs on the side?